From the winner of the Nobel Prize for Literature, this is the fourth instalment in the visionary novel cycle ‘Canopus in Argos: Archives’. 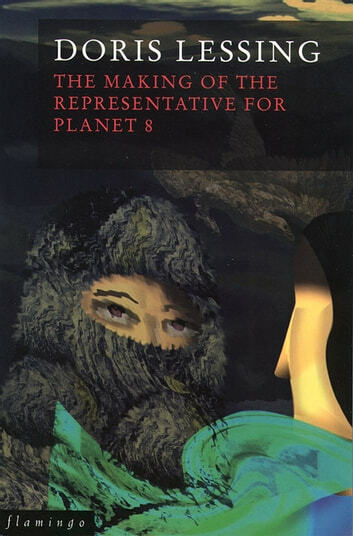 The handsome, intelligent people of Planet 8 of the Canopean Empire know only an idyllic existence on their bountiful planet, its weather consistently nurturing, never harsh. They live long, purposeful, untroubled lives. Then one day The Ice begins, and ice and snow cover the planet’s surface. Crops and animals die off, and the people must learn to live with this new desolation. Their only hope is that, as they have been promised, they will be taken from Planet 8 to a new world. But when the Canopean ambassador, Johor, finally arrives, he has devastating news: they will die along with their planet. Slowly they come to understand that their salvation may lie in the creation of one Representative who can save what is most essential to them. Lessing has written a frightening and, finally, hopeful book, a profound and thought-provoking contribution to the science-fiction genre the novel generally. A complex and beautiful tone poem. This is a beautiful book. Doris Lessing uses the science fiction format to really let loose and explore some very complex ideas in all of the Canopus in Argos books. This one is partly based on her reading of Scott's Antarctic diaries and is more of a tone poem but no less powerful for that. Her use of language is incredibly precise in crafting her stories and the effect stayed with me long after I put the book down.